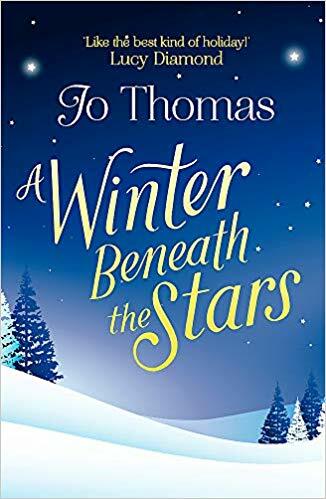 With this book Jo Thomas has proved that she can write wonderful wintery romances just as well as all her marvellous summer books. I was hooked and enchanted from the first few pages, and the pages just kept on turning so fast, I was amazed when I looked up and saw how much I had read. After all this is a book set in Swedish Lapland, with teams of husky dogs, reindeer and a gorgeous Samii man. With gorgeous scenery, you will be exhilarated at the adventure that Halley goes on, against her best wishes. She is normally an international courier, but when she loses her bag with some vital wedding rings in it, she is in a race against time to re-locate it and get the rings to the couple in time for their wedding. Only snag is the only way she can get to the home of the person who has her bag, is by helping Bjorn with his reindeer as he is going that way anyway. Halley though is rather scared, but has to face all manner of fears in this wonderful journey. I was enthralled with all the action, and the various things that happened on this trip. It also included a journey of personal growth for both characters, as they discover who they need to be now. With the level of description, it is clear this is book that has been well researched, and I learnt a lot about the Samii way of life, how they use every part of a reindeer, and don't take more from the earth than they need. It is a simple way of life, that is traditional and fascinating. There are exhilarating scenes, fabulous wildlife, a growing connection between two characters, some light relief with Lars, this is a book you don't want to miss. I absolutely adored this book, I didn't want it to end. 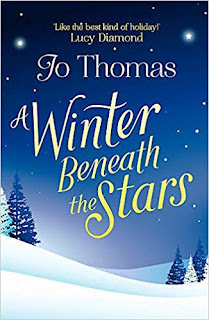 I just can't get enough from Jo Thomas, but may have to wait for her to write the next one!